ice cream is a necessity | I Sing Because I'm Free! Since I was a kid, I have had a love affair with ice cream. A friend through thick and thin, ice cream was always there for me in my time of need. Summer heat and need a treat? Ice cream to the rescue. Boyfriend breakup and need a pick-me-up? Ice cream always did the trick. True story… when I was in college, I noticed that the roof of my mouth began to peel. Thinking I had some sort of disease, I asked the dentist about my issue and sure enough- too much ice cream was the culprit! Eventually, I realized that moderation was the key when it comes to enjoying my ice cream. 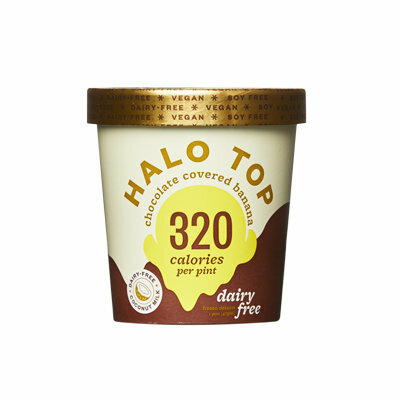 And it’s so awesome that we have tons of great options- even for those who are watching their carbs- like Halo Top ice cream! I happened to be in the grocery store yesterday evening and like always, I bumped into someone I knew. We chatted for a few minutes and caught up on life, and then I noticed a mom and her middle school aged son hovering around the ice cream. Mom was looking for the staples- milk, eggs… while son’s eyes were glued to the hundreds of cartons of ice cream. I heard the desperation in his voice. “But mom. We NEED ice cream!” A brief second later, he looked in my direction and I could see it written all over his face. He was losing hope. He needed some help. The mom paused for just a second, and then gave the go ahead. Junior got him a carton of heaven… umm…I mean ice cream. I think often about how short life is, and how we have to enjoy the little things. Ice cream is definitely one of them. Lol!! 😊 Blessings to you!! Lol “junior got him a carton of heaven 😂.” You’re funny. Oh my GOSH. I need ice cream now. Run. Do not walk to your nearest ice cream store!